A Good Writer: Does your child have what it takes? There is definitely more than one way to gauge whether your child is or can be a good writer. Some may argue that if a student consistently scores high marks for Paper 1 (the written component of the English language examination in local Singaporean schools), he or she is a good writer. While this may be true, asking if your child possess these five characteristics might be able to provide a more holistic evaluation of whether a child has what it takes to be a good writer. No story is completely original. It is always inspired by other stories or themes. Yet, a story can be written in an original way. For example, one of our Young Authors, an 11-year-old girl, decided to write a story about determination and perseverance. These are themes that have been featured in many stories. 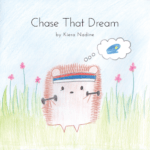 However, she chose to write it in an original way by portraying the characters as hedgehogs. The protagonist is a hedgehog who aspires to be a police officer but is put down by his other hedgehog friends. Eventually, he proves them wrong through sheer determination and hard work and achieves his dream. What exactly is a three-dimensional character? It is a character who has a lot of depth and is lifelike. Readers are drawn to characters that they can connect with and that they can relate to in some way. Developing a three-dimensional character can be quite challenging but there are various ways to do this, such as through the use of dialogue, vivid description and the outlining of the thoughts of the character in various situations. While it definitely helps to have a wide range of vocabulary, what is more important is whether or not that vocabulary is used in the right way and to create the intended impact on the reader. An impressive piece of writing uses the most appropriate words to convey the most accurate meanings. Writers spend a long time deliberating on the choice of their words. Why is the word 'enraged' used instead of 'angry'? It is because 'enraged' has a higher intensity than 'angry'. On the other extreme, writers who misuse words or phrases or individuals who use similes or idioms just for the sake of using them (and not to enhance the meanings and effects of the piece or writing) come across as pretentious and artificial. So, memorising a list of idioms and phrases to add to a piece of writing may be good but if they are used in the wrong way, it could backfire. At the end of the day, no matter how a story is written, what matters the most is whether the writer has managed to clearly articulate his or her message. This can be done at the start, throughout the story or the written piece or even at the end. Another consideration would be if the written piece is coherent; do the different parts of the piece link and connect with each other? It is easy to transit from one paragraph to another? If the answer to all these questions is yes, then the piece of writing is coherently written. A good writer realises that a piece of writing is never perfect and that there is always room for improvement. As we said before, editing is more than just the correction of spelling or grammatical errors; it is also polishing a piece until it becomes the best possible version. Good writers write with self-awareness. As they write, they would also pause and edit their work accordingly. Sometimes, this involves rewriting certain parts or rearranging the structure of the piece but they do it willingly because they know the effort will be worthwhile. The good news is that these characteristics can be nurtured in children. To find out if your child has the potential to develop these characteristics of a good writer, do sign up for our trial class. During the trial class, we will conduct a comprehensive and holistic diagnostic test. After the class, we will explain the results of the test to you and discuss ways to groom your children into young writers! This entry was tagged classes, composition, education, enrichment, paper 1, psle, singapore parents, writing. Bookmark the permalink.